All whiskey starts with what’s called distiller’s beer (also know as “wash”): usually a light, mostly flavorless liquid. The founding genius of Sons of Liberty was to start their distillation process with a high-quality wash and a longer fermentation period, rather than the cheap and quick beer typically used to keep costs and time commitment to a minimum. Sons of Liberty’s Uprising Whiskey starts with a stout, for example, while their Battle Cry begins life as a Belgian triple style beer. In 2016, the company acquired a brewing license and started producing more refined versions of these beers for public consumption, including pairing beers with their whiskey cousins at the taproom. The company now has put out more than 20 varieties of beer (a single batch of wash can be used to make up to eight types of beer and whiskey). Highlights include an extensive line of barrel-aged beers – because who has more access to used whiskey barrels than a distillery? 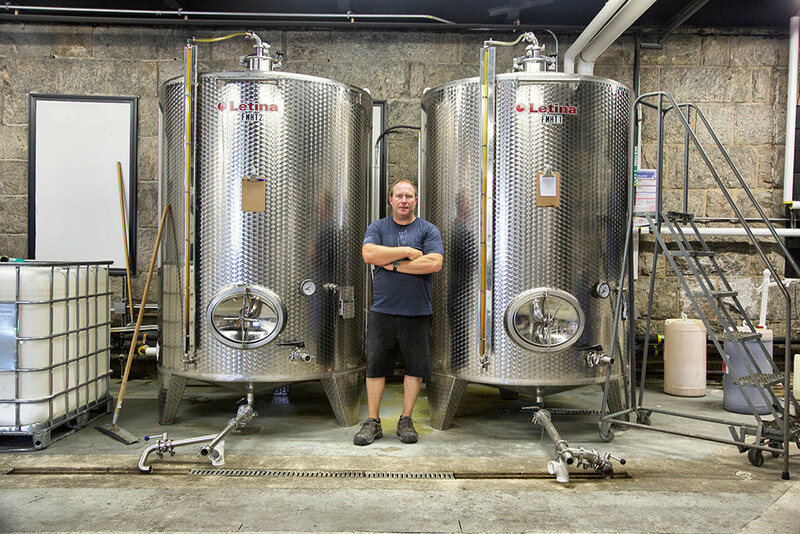 A self-proclaimed “Italian kid from Rhode Island,” Sons of Liberty owner Michael Reppucci grew up making wine with his father, cousin and neighbors in Narragansett. A stint in a London business school turned his head from a love of craft beer to spirits (particularly scotch at the time), and a visit to some other distilleries down South left him appalled at the low quality of the mash being used to produce whiskey. “I was always told the better ingredients you start with, the better product you’ll have” – a statement as true for making whiskey and beer as it is for pasta, says Michael. Names like Uprising and Battle Cry hint at a patriotic message behind the company name, but that’s only part of the Sons of Liberty story, Michael says.